Survive in Hyperdrive in an intense fast paced challenging game. The speed of the spaceship has malfunctioned which has caused you to become stuck in hyperdrive. Follow the directions that appear on the screen before they hit your spaceship. Your ship has four health points, but if an alert hits your spaceship or if you enter the incorrect prompt your ship will lose a health point. How long can you survive? Have fun! Well, 2014 is in the books. First, I want to give a big THANK YOU to everyone that downloaded an app, liked or shared a post, favorited or retweeted a tweet, spread news word of mouth, or anything else positive for me. It was another busy all over the place year for me personally, but I was able to develop & release seven neat high quality apps that I’m proud of. My skills in app development and design continued to get better, I came up with some new app ideas, and some of the ideas I already had ended up transforming into something different. I probably won’t release as many apps in 2015 as I did in the previous two years, but I have a schedule in my mind of a few apps I definitely want to finish and release this year. In 2014 I became more organized and focused in my app development. I narrowed down the kind of apps I wanted to work on to specific categories; education, entertainment, health, & arcade games. I’ll continue with those specific categories in the future but I’ll also be working on puzzle games & adventure games as well. In 2014 I continued the Word Owl’s Word Search series I started in 2013 with a First Grade & Second Grade edition. I really enjoyed working on these apps. They’re educational and I really like the cartoon wooden block design I went with. My Word Owl apps continue to acquire downloads, especially on the Apple App Store for iPad which is what they were initially designed for. I decided to make a couple of sound effects apps and include Ultra in the title to make it kind of like a series with Ultra Soccer Match Soundboard & Ultra Big Celebration Soundboard in 2014. Based on download numbers people seem to like my soundboard apps which is great because I enjoy designing them and working on the audio in GarageBand. 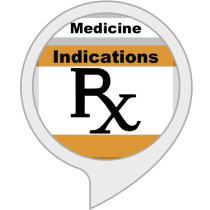 I also developed a medication quiz app(Quiz of Medicine) which has received way more downloads than I thought it would. I initially developed it to help myself and a few others learn more about medicine, but download numbers indicate that I’ve helped A LOT of people instead, which is awesome. I decided to develop Zompy Jumpy because I realized the fact that I have never created a game with zombies which I think is a requirement in the indie game developer world…….not really, I actually just wanted to make a quick challenging arcade game with dancing zombies, because why not? I also joined a couple of game jams in 2014 as well. I liked the challenge of creating a theme specific game in a short time span so I’ll probably continue joining them in the future if they interest me. I created 8-Bit Eagle Smash in the span of a weekend during the Flappy Jam earlier in the year, and I also developed two other games during separate game jams. For those games I was able to make slim versions that were complete enough for the jams, but not complete enough for me personally to release officially. 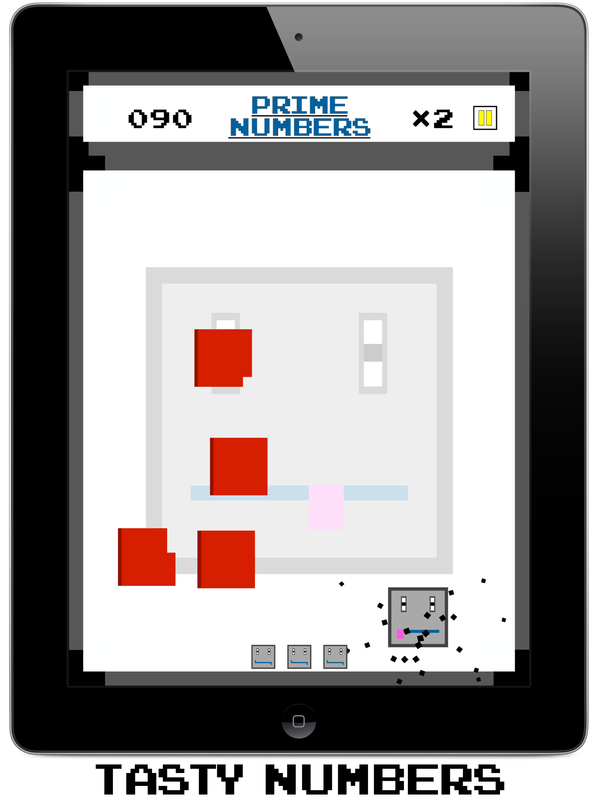 I’ll be working to make complete versions of these games in 2015, especially the numerical education one I’ve been referring to on different posts. 2014 also consisted of a few updates to some of my apps to increase performance or fix a minor issue. When something’s not working or looking right I always try to fix it as soon as possible, but so far I don’t recall ever releasing a broken app that needed an immediate fix. In 2014 I also started writing monthly progress reports where I give an overview of what I’ve been working on and what I plan to work on. I liked writing these post for various reasons so I’ll continue that in 2015. For previous posts feel free to use the category drop down on the top right of the website, search bar above the category section, or the archive section on the bottom right. 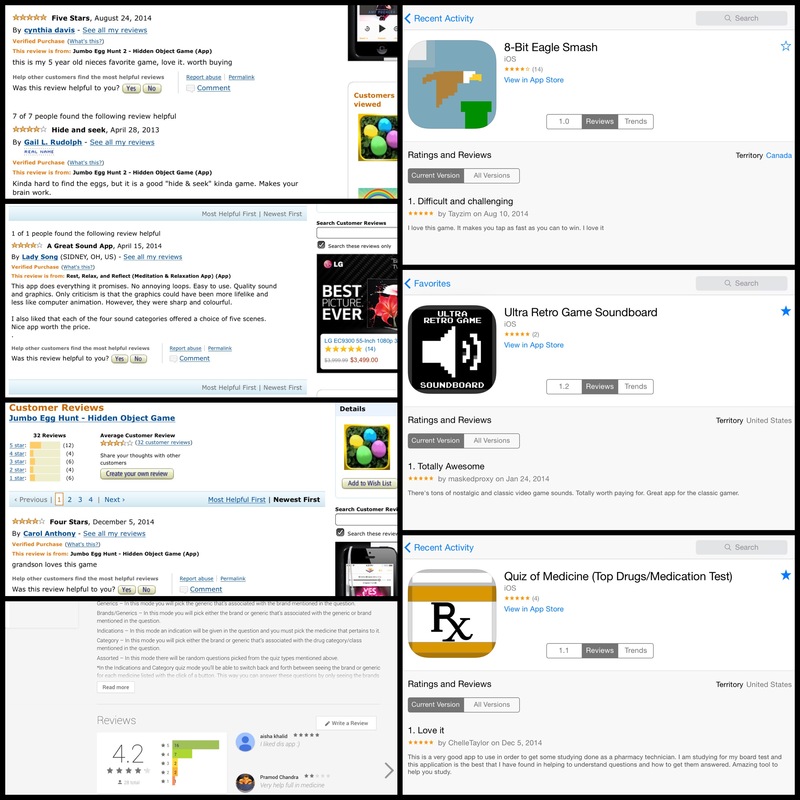 Most people who download my apps never leave reviews, but I’ve made a little collage of a few reviews I received in 2014 that I’ll add below. First, here’s a few top 5 lists for my app downloads in 2014…. Ultra Big Celebration Soundboard is filled with hundreds of exciting sounds effects for parties, graduations, birthdays, anniversaries, weddings, sporting events, and many other occasions. The six sound effect categories are; Bells, Crowd Noise, Fireworks, Horns, Whistles, and Other Objects. Each category has a variety of sounds and a section with three pitch options; Low, Medium, & High. The Fireworks and Crowd Noise categories also have both short & long sounds. The Other Objects category includes various sounds like cans opening, party items, dubstep sound effects, and more. The other categories are pretty self-explanatory. You can also favorite or unfavorite a sound by holding down on the button for 5 seconds. When you favorite a sound it puts a star on the button to remind you that it’s one of your favorite sounds. Have fun! Ending this year of 2014 app releases with a BANG! Zip up your tracksuit and see how long you can survive jumping over a hoard of dancing zombies. Eat a granola bar to add health. Jump & double jump to avoid zombies. Simple yet challenging gameplay. 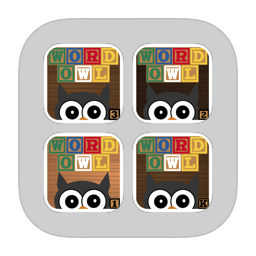 The Word Owl’s Word Search bundle is available on the Apple App Store. 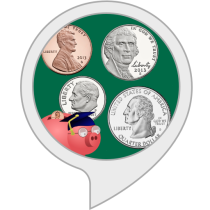 Four great apps for the price of two! Word Owl Word Search apps are neat educational and colorful word search games for kids of various ages. The Kindergarten, First Grade, and Second Grade editions feature popular sight words that account for a large percentage of the words used in literature for children at each grade level. The Kindergarten edition has slightly over 150 sight words, and the First Grade and Second Grade editions have 200 sight words each. Also included in the bundle is the Christmas edition of Word Owl’s Word Search. The Christmas edition features over 100 Christmas holiday related words, big and small. This edition also has an additional “Show Words” option and hint button that can both be used to affect the difficulty. All of these apps also have different letter and background colors that can be changed in the options menu as well as settings for the sound. For all of the apps you simply slide your finger across the letters to form a word that’s displayed on the left side of the screen. The words are in the word search vertically, horizontally, and diagonally. 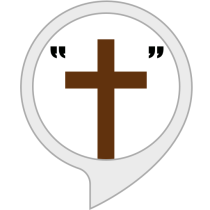 All of the words are displayed in a forward facing manner, except the Second Grade and Christmas editions, they both also have words that are displayed backwards for increased difficulty. Word Owl’s Word Search is a big and colorful word search for children. The First Grade and Second Grade Editions of Word Owl’s Word Search feature 200 sight words each for children in or around the 1st & 2nd Grade. These words have been compiled from numerous sight word lists provided by real 1st and 2nd grade classes in different schools. Help your kid learn and retain several words while having fun! Simply slide your finger across the letters to form a word that’s displayed on the left side of the screen. The words are in the word search vertically, horizontally, and diagonally. All of the words are displayed in a forward facing manner in the First Grade edition. Some of the words in The Second Grade edition are displayed in a backwards facing manner for an added challenge for the second graders.